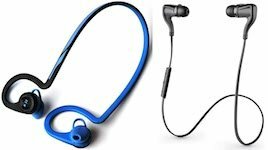 Plantronics BackBeat FIT Bluetooth headphones are a comfortable, lightweight, rugged set of wireless headphones. 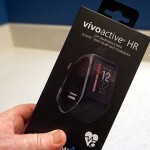 They have a great sound quality for the price, and they don’t fall out of your ears – not even when you are exercising. They come packaged with a free, reflective armband case for your smartphone (which you can also use as a storage case for the headphones). For around $80 from Amazon, I strongly recommend these headphones for athletes and active people. Plantronics BackBeat Fit headphones work well for running, cycling, working out, and gardening – and pretty much any other activity. What makes them even more versatile is that they are waterproof – so you can wear them while kayaking, for example. You would not want to take them scuba diving, but they can definitely cope with a lot of water. 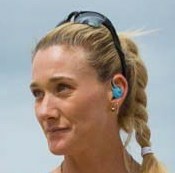 They are especially designed to enable you to hear ambient sound, which makes them a safer option for athletes. I am quite a big fan of JayBirds headphones (see indepth review here). The Plantronics seem to me to be just as good as Jaybirds, but they are cheaper. In fact, I prefer both the sound quality and the fit on the Plantronics. 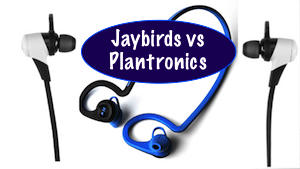 You can see a comparison of JayBirds BlueBuds X vs Plantronics BackBeat Fit here. The comparison includes a table comparing all features. My first impression with my new Plantronics BackBeat FIT headphones was that they have high quality packaging. Out the box they came with neatly packaged instructions, plus as a handy neoprene carry case (in colors that match the headphones). There is also a micro USB charger. Once you put them on, the Plantronics BackBeat Fit headphones are there to stay. They drape over your ears, so it is close to impossible for them to fall out. You could do headstands with these on, if that was your thing. So, they would work for gymnastics and yoga as well! They also fit comfortably under helmets. 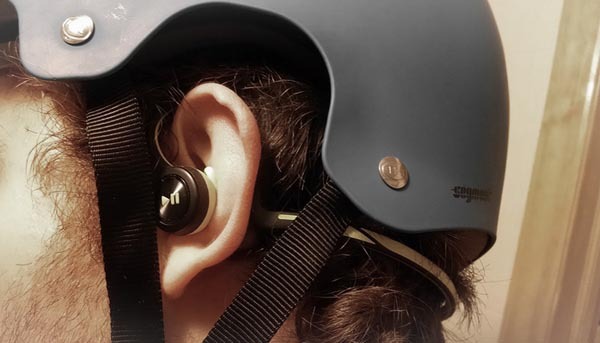 These headphones fit perfectly under a helmet. You can swivel the earpieces up to 20 degrees to improve fit, but I did not find this necessary. 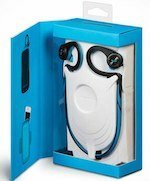 Once on, the Plantronics BackBeat Fit headphones do not stick out from your ears as much as a lot of foam-tip earphones – they have a flat profile. The Plantronics BackBeat Fit headphones also have a reflective finish to help you be seen at night. The sound quality is very good. I tested them by watching a TV show on mass transit on my smart phone. The sound was excellent and I was able to enjoy the show. However, they are not totally immersive. The earpieces are especially designed with looser fit silicone earbuds, so that they do not exclude all other noise. This is to keep you safer while walking, running or cycling. I tested my Plantronics headphones with a range of music, and was impressed. The sound is full and rich and clear. There is a surprising amount of bass, which contributes to the fullness, and there is also a surprising amount of detail in the sound. 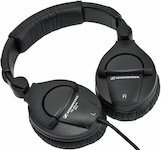 Note that the sound is NOT enormous – if you want to be deafened, these are not the headphones for you. These Bluetooth headphones are sweat proof. In fact, you can put them under water up to one meter deep for up to thirty minutes. I really like this, as many headphones can be broken by sweat, and that is useless for exercising. With these, they would even be fine if you accidentally stepped into the shower with them. And I have listened to an entire book while floating on an air mattress, without damaging them from occasional splashing (and even me falling off the air mattress a couple of times). 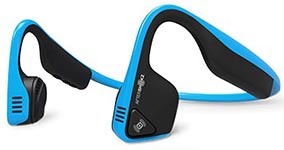 In fact, I recently met a man who started talking to me just because he realized that we were wearing identical blue Plantronics BackBeat Fit headphones. He appeared to love his headphones even more than I love them, which is saying something. He told me that he originally got his Plantronics three years ago, because he likes to listen to music at 5.00 a.m. when he showers, and his “other half” for some reason objects to loud music at 5.00 a.m. He told me he has been wearing his Plantronics in the shower for three years, and they are doing just fine! So perhaps I will try mine in the future. I have to confess to feeling a bit nervous about it, though. The first pairing of the Plantronics BackBeat Fit headphones with my smart phone was simple and seamless. I switched on the Bluetooth on my phone, switched on the phone, and the two devices connected in seconds, without needing to use the startup password (0000). Then the headphones told me “Headphones Connected!” It is always so great when electronics just work, without problems! Also, I do like the voice on this set. It’s a mellow woman’s voice. These headphones show up on your smart device as PLT_BBFIT, which is slightly odd – and impossible to pronounce. 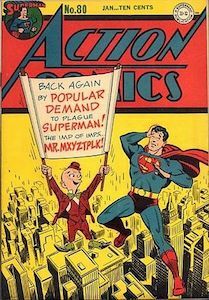 Reminds me of my old Superman comics, where one of the villains had a name without any vowels at all! These headsets claim to last for 8 of hours listening, and up to 6 hours of talking. I have tested the 8 hours listening and it’s correct. I have not tested the 6 hours of talking, as I cannot talk for that long! These headphones are also said to have up to 180 days “deep sleep mode.” The headphones go into deep sleep mode if they are out of range of your smart phone for more than 10 minutes. At any time you can press the power button on the right earpiece and the headphones will tell you their battery level. They will also tell you this each time you switch them on: Battery Level Full, High, Medium, Low or Empty. The battery is charged with a generic micro USB cable, so that it’s easy to have one charger at the office, and another at work. The battery charger port is under a tiny door on the right earphone, which you have to open with a fingernail. The first time I needed a flashlight to find it. Battery charge time is 2.5 hours, which is pretty good. There is a red light while charging, which turns to a cool blue light when done. The whole earpiece lights up, so it is easy to see when it is charged. These Bluetooth headphones work up to 33 feet away from your smart phone. I have not had any range issues at all when I walk away from my phone. Each earpiece has tiny controls. The left earphone is for Pause and Play – you just press down on the flat side of the earphone, which is facing out of your ear. This works really well. To get to the next track you do two quick presses on the Play button, and to restart the current track you just press the same button until you get a confirmation tone. Those both work well. To get to voice control mode, you press on the right headphone until you hear a tone. This is useful for making calls while walking, running or cycling. Taking calls (and even better, declining them) is simple and works well. One push on the phone button to accept, two presses to decline. I found that I got used to the controls easily. The only time it gets confusing is if I wear different headphones for a while (to review, for example). Then I have to relearn which buttons to press for each function. The controls on these headphones are very tiny. The first time I used them, I almost had to use a flashlight to find the On button. But after the first few uses I got the hang of it, and I can now find it by feel (once you know where it is, it’s really obvious as it has a rough edge). Still, there is a learning curve to get used to finding the various controls by feel. One thing I really like is that the silicone hard-bud earphones are molded to fit into your ears (similar to the iPhone 5, except much more comfortable). This means that there are no little foam ear tips that can fall off, and get lost. The neoprene carry case for the Plantronics BackBeat Fit headphones is a very useful case. You can use it to carry the headphones (obviously), but you can also turn it inside out and strap it to your arm. 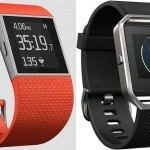 Then it’s perfect for carrying your phone while running, working out, cycling, or walking. And it’s big enough to fit an Android phone. I did NOT expect to like these headphones as much as I do. 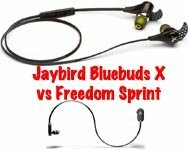 I have been a fan of JayBirds headphones (reviewed here) for a long time. Now I think that Plantronics are just as good as Jaybirds, but cheaper. On the Jaybirds the sound is more immersive, which is what they are designed for. But if you want to be safer while out on the streets, the Plantronics are a better bet. Actually, I am quite blown away by my Plantronics BackBeat FIT Bluetooth headphones – they are my favorite headphones for all kinds of working out – and just for headphones in general. After a LOT of intense use, I have also found that Plantronics BackBeat Fit headphones are very rugged and long-lasting. All in all, I highly recommend these earphones. Like all headphones (and everything in life), they do not last forever. Which means that every now and then, I have to live without them – for a while. Eventually, I ALWAYS crack and order another pair. I tell Maggie that I have ordered another set of “the Precious” – and she knows exactly what I mean! Another pair of blue Plantronics are on their way, to fill the empty spot around my neck. Check them out yourself at Amazon.com. I am an affiliate of Amazon because their prices are great, and there is never any problem returning items if you don’t like them. I buy stuff from them all the time. My ambition is to earn more from them than I actually spend – please help me make that happen! Related: Review of the new Jaybird X2 Bluetooth headphones! Visit our Shop for the Top-Selling, Most Popular Headphones of the Year! We would appreciate it very much if you would SHARE it with others (using the Share buttons). If you really want to show your appreciation, please consider clicking on one of the Amazon links before buying from Amazon; or clicking on any of the other affiliate links on this page. Small commissions help pay for our time. Or BEST OF ALL – just SUBSCRIBE to our blog. It makes you part of our community, and gets you free weekly updates about our posts. Thanks in advance – reader support keeps us going and makes it all worthwhile! Very nice headphones for workout. Thanks for sharing ! I have two BackBeat FIT wireless headphones that I got so that my wife and I could talk to each other while riding. I used them once, and listening to all the hiss that basically kept me from hearing her due to the wind I have decided to return them. I contacted Plantronics and they said that they were not designed for bicycling due to the mics can’t block out the wind noise. Sorry to hear that. I don’t do a lot of talking on bikes, because I find the wind and traffic make it hard. 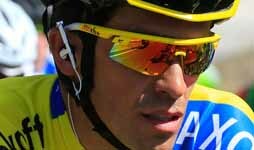 I have never heard of mics that are designed for cycling in such a way as to block out the wind noise. I don’t think that technology exists?